I am sure you have heard how easy a Real Estate Agent’s job is, right? Sure you have. I am sure you have heard we make a LOT of money for doing very little work. Well, a good agent just makes it look very easy. So your agent is working super hard for you behind the scenes to make your real estate transaction as easy as it can be. My word of advice, let them do their job, that is what you hired them for, right? So here is just an overview of some of the 184 tasks that the Ohio Association of Realtors released as common tasks that an agent does for buyers and sellers in a real estate transaction. So an agent in the pre-listing stage is doing at least 20 tasks ranging from appointments, research, and compiling preliminary records and copies. All of this is to make sure that the listing is accurate and to help their buyers with market information. Another 12 tasks at least are done during the listing appointment. So all of the research is presented to the seller and explained what it means to them, and the agent has to apply for the job since we are essentially unemployed everyday. 43 more tasks are added once an agent gets the job to list a sellers house. Most of the tasks are to make sure to have an easy and accurate listing even more so than the initial research. Each agent has slightly different tasks here depending on the city, county and state requirements. The most detailed oriented 6 tasks away the agent here. The agent is responsible for accuracy of the information in the MLS, including the pictures. Each agent’s marketing plan is likely different but at least another 25 task await the agent for marketing listings. Agents should not just be putting a sign in your yard and calling it a day, what more does your agent do for you? Depending on each offer and how many offers received at least 30 tasks are sitting in this section for the agent. This is where it is probably most crucial for you to communicate and let them do what you hired your agent for. 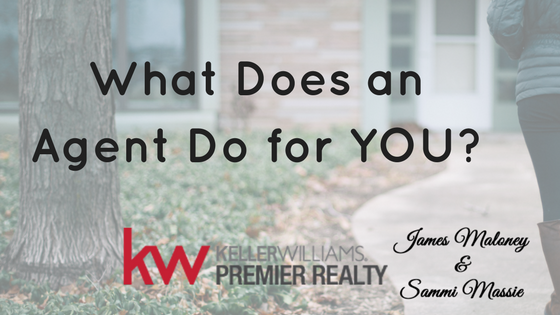 Not only is the agent staying in communication with you but with the lender as well, with at least 6 tasks. The agent will communicate with everyone and as a listing agent, they will explain responsibilities based on the loan; with at least 7 tasks. More communication and the listing agent will provide some education to the appraiser as well if there is a chance that the house does not appraise for value. There are another 5 tasks in this section. With another 23 tasks in the homestretch of the transaction. Even more communication and follow-up is done in this stage. Our job doesn’t end at closing, we still help with questions after the transaction.